Spend minimum of RM250 (RM200 for ONECARD member) in a maximum of 2 receipts within the same day at any ONECARD participating outlet. 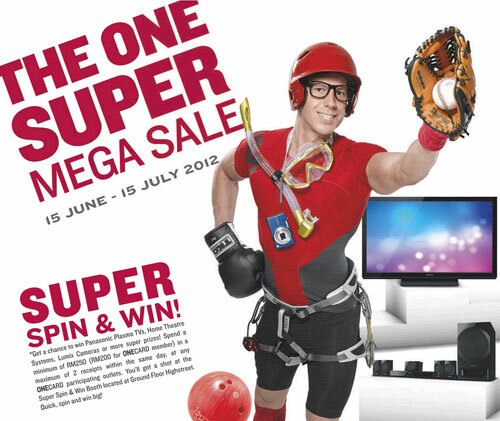 Get a shot at the Super Spin & Win Booth located at Ground Floor Highstreet. Visit 1 Utama Facebook fan page for more details. Are you eligible for today's prizes yet? Share recommendations & invite your friends HERE to stand a chance!